At Sisel International, we employ science to improve life. Since science has proven that the human body is 98% water, we realized that if you want to help the human body, you’ve got to improve its basic component — water. Our Supra H2 Water System does just that. It supercharges your water by doubling the amount of hydrogen in every water molecule, transforming your water into a powerful antioxidant that works to increase your body’s ability to deal with environmental stress caused by daily life. Our mission at Sisel International is to help our customers live the best life possible. We truly believe that the Supra H2 is the natural way to better your water, better your health and better your life. Scientists tell us the human body is comprised of 98% water. That’s why we created the Supra H2 Water System. It provides an affordable way for anyone to receive supercharged hydrogenated water. The science is simple…take pure water and double the amount of hydrogen it usually contains, transforming it into a super antioxidant molecule. It’s just that simple…better water + better taste = better health. Hydrogen and you — science and Sisel. Science has proven that the basic building block of life is water. Oxygen and hydrogen combined makes all life possible. With that thought in mind, we created the Supra H2 Water System. The H2 supercharges water by doubling the amount of hydrogen in each molecule of water. This creates an antioxidant filled water that not only tastes better, but is better for you. 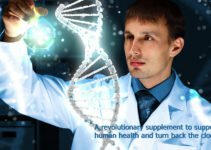 Better health through science, that’s the Sisel mission. Taste it for yourself.